SIXENSE Soldata is an international company specialized in geotechnical, structural and environmental monitoring services to mitigate risks during the construction and operation of sites. 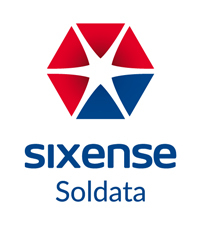 SIXENSE Soldata offers the complete range of solutions from the most advanced and innovative monitoring and information technologies to the most simple and well known monitoring techniques, always looking for data quality and usability. Its 20 years of experience offering reliable monitoring systems for major urban infrastructure projects around the world puts it at the forefront of risk mitigation. SIXENSE Soldata is established in 19 countries to be your worldwide partner in Geotechnical and Structural Monitoring.